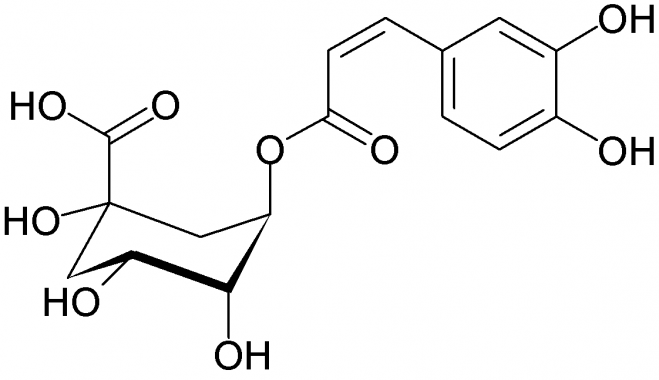 What is Chlorogenic Acid & How's It Connected to Healthy Eating? Are you the type of coffee drinker that can’t imagine your mornings without a daily cup of joe? Among nutritionists, coffee gets a bad rap for its high caffeine content, but there is one healthy component worth mentioning: chlorogenic acid. Found in many plant compounds, chlorogenic acid is a phytochemical that occurs naturally in plants. Plants produce this phytochemical during environmental changes, pest infestations, and other plant stresses. Chemical testing has shown that the concentrations of chlorogenic acid in plants is directly related to the concentration of naturally occurring caffeine. How Does Chlorogenic Acid Benefit the Body? Medical studies about chlorogenic acid suggest that this phytochemical may aid blood sugar and weight control, as well as being an antioxidant and anti-inflammatory agent. Chlorogenic acid may also have a positive effect on how the body absorbs carbohydrates and on glucose metabolism. Other studies have suggested that chlorogenic acid promotes a healthy liver and gall bladder. Coffee, and green coffee in particular, is a potent source of chlorogenic acid. According to a study published in the Journal of Nutrition, one liter of coffee contains 500-800 milligrams of chlorogenic acid, which means that the average coffee drinker consumes about 0.5-1 gram of chlorogenic acid each day. 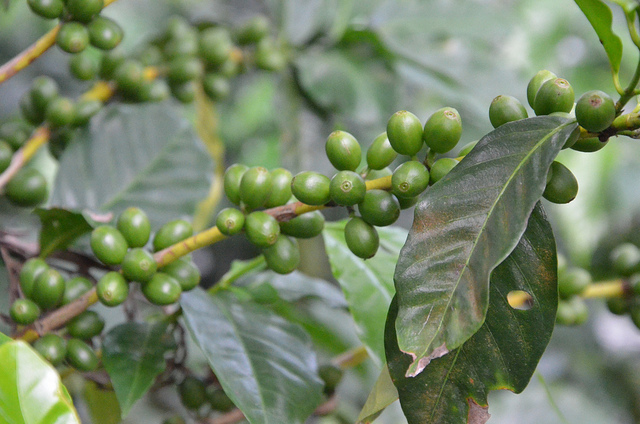 Green coffee is made with coffee beans that haven’t been roasted. Did you know that coffee beans are naturally green-colored before they’re roasted? Roasting coffee beans reduces the amount of chlorogenic acid contained in the beans, which is why green coffee is often considered to be a healthier choice. However, it’s important to remember that drinking coffee isn’t the only way to get the benefits of chlorogenic acid in your body. These are some other healthy foods that contain chlorogenic acid with none of those jittery side effects. If you don’t typically get a lot of these foods in your diet, you can even find chlorogenic acid capsules and liquid extracts produced by nutrition supplement companies. But there are also lots of easy ways to get more of in your diet. Here are two delicious and chlorogenic acid-rich recipes to make for breakfast this week. Pour the canned pear halves as well as their juice in the blender. Add all the remaining ingredients except ice, and blend until smooth. Add the ice and blend until frosty.